The Yankees put up ten runs in the first two innings in Anaheim, CA and coasted to an 11-1 victory over the Los Angeles Angels on Saturday night. I guess the Yankees were telling their East Coast fan base it was okay to go to bed early. Very considerate of these young and very talented Yankees. Always looking out for Yankees fans. The FOX announcers were quick to point out that no team had ever scored five runs in consecutive innings to start a game against the Angels in the history of the franchise. 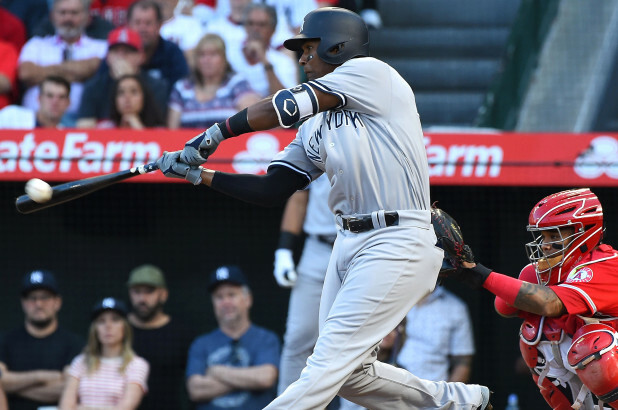 Considering the Yankees have not matched up well against the Angels in recent years, it was even sweeter for the Yankees to win the first two games of the series. What’s amazing to me is the Yankees did it without any home runs or Didi Gregorius (0-for-3, although he did score a run after walking in the first inning, thanks to a couple of errors by the Angels’ Zack Cozart and a huge double to the left field corner by Gary Sanchez). If the Yankees are doing this well with minimal contributions from Giancarlo Stanton, what happen when the big guy goes on one of his home run tears? It’s scary to think what this offense is capable of when they are hitting on all cylinders. When the Yankees scored those early runs, I felt this would be the game we’d see the Yankees debut of former Washington National A.J. Cole. Sure enough, Cole was assigned mop-up duty for the game’s final two innings. He extended the game a little further than I would have liked, leaving two baserunners in each frame, but at least he didn’t allow any runs. I’d love for pitching coach Larry Rothschild and the Yankees to figure out a way to unleash the potential talent in Cole but the first outing only reinforced that he is an eventual DFA candidate. 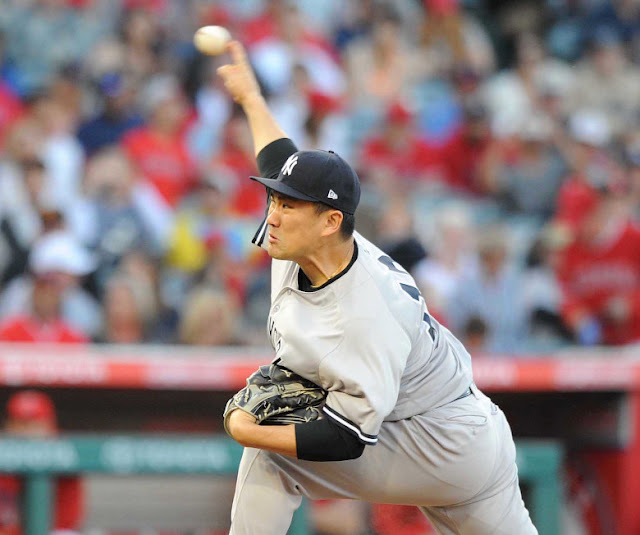 As for Masahiro Tanaka (4-2), it was a great start. Yes, he gave up another home run (as he, unfortunately, often does), but solo shots when you are leading by ten runs are not consequential. Masa’s final line was excellent…6 innings, two hits, one run, two walks, and nine K’s. He only threw 88 pitches but there was no need to extend him deeper into the game although he certainly could have. This is the Masahiro Tanaka we need for the long summer ahead. 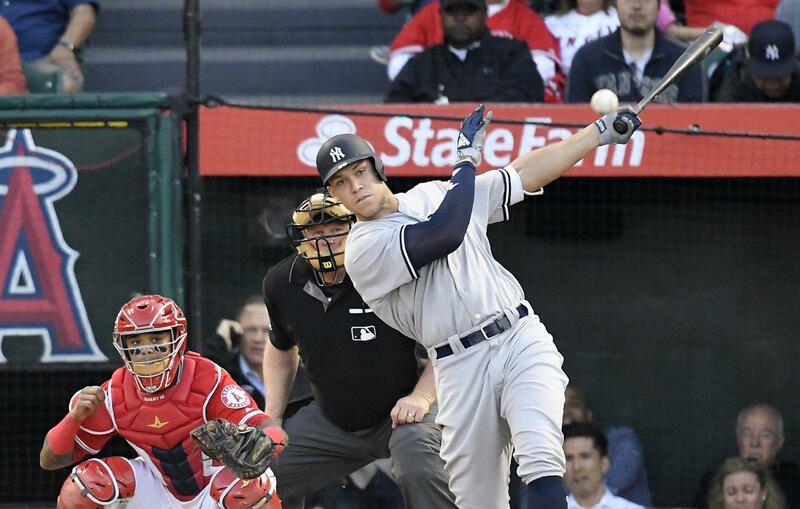 The win was the eighth consecutive for the Yankees (17-9) but surprisingly they are not the hottest team in baseball. They share honors with the Tampa Bay Rays who also won their eighth straight with a big 12-6 win over their former ace, David Price, and the Boston Red Sox. The Rays were expected to reign supreme in the AL East Cellar this year but they’ve hurt their cause with a six-game lead on the pathetic Baltimore Orioles. Meanwhile, the Yankees have quietly slipped to within two games of the front-running Boston Red Sox and the calendar has not yet flipped to May. I guess they were right when they said that the AL East would not be decided in the month of April. Seriously, I didn’t grip when the Red Sox took off running to start the season but there were many Yankees fans who did. It’s still a very long season and it will be awhile before anything is decided…except that these Yankees are very good. The Yankees conclude their three-game series with the Angels this evening and will be featured on ESPN Sunday Night Baseball. Alex Rodriguez has been in town getting ready to provide color on his favorite team for the ESPN broadcast crew. The game features CC Sabathia (1-0, 1.86 ERA) against Tyler Skaggs (3-1, 2.96 ERA). The Yankees have a flight to Houston, Texas so they’ll have to work quickly tonight if they have any plans for sleep. The most brutal stretch of the schedule continues but at least the Yankees are winning. I know that helps me sleep better at night. The Yankees lost RHP David Hale last week when he was claimed by the Minnesota Twins on waivers. However, his stay with the Twins did not last long. He gave up four runs in three innings during his Twins debut on Friday night and was subsequently designated for assignment. I suspect he’ll clear waivers this time around and will head to the minor leagues for the Twins. I wish the 30-year-old the very best as he tries to recapture the pitches necessary to sustain MLB success. There has been much talk and debate about the impending return of third baseman Brandon Drury. It’s tough. Miguel Andujar has shown that he is ready and capable of being the regular at third. I was and remain a big fan of Drury and I still feel the Yankees will unlock greater magic from the bat of the former Arizona Diamondback. But admittedly, I agree you cannot sit Andujar. Perhaps Andujar goes into a slump and is inevitably sent down to Triple A. I hope not and doubt it but as the FOX crew frequently reminded us, “these things have a way of working themselves out”. Although I think it will be a pitcher that does down to make room for Drury’s return from the 10-day DL, Neil Walker’s position the roster is becoming tenuous. Sure, he did have 2 RBI’s during yesterday’s win over the Angels but he is only 11-for-67 (.164/.219/.194, .413 OPS) and has yet to rediscover his power stroke. Drury’s ability to play first and second make Walker a redundant luxury since we know Ronald Torreyes is not going anywhere and Gleyber Torres is firmly planted as the team’s starting second baseman. Walker is going to hit and he is capable of helping someone so armed with a team friendly contract, the Yankees should get some level of return for him in a trade rather than simply cutting him. I like the guy but there are only so many roster spots. 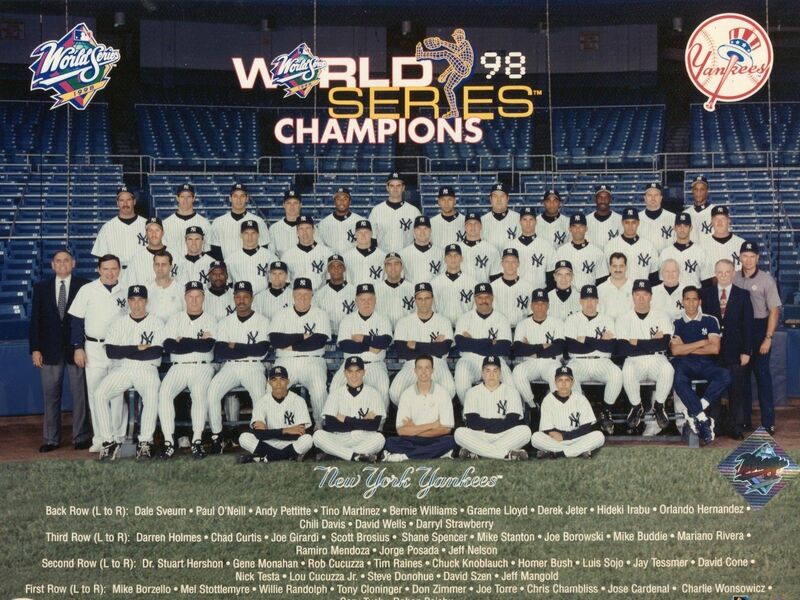 It blows my mind the guys the Yankees are connected to on the international market this summer were born four to five years after the great 1998 World Series championship. It seems like it was only yesterday the Yankees were on their magical run en route to 125 victories including the post-season. 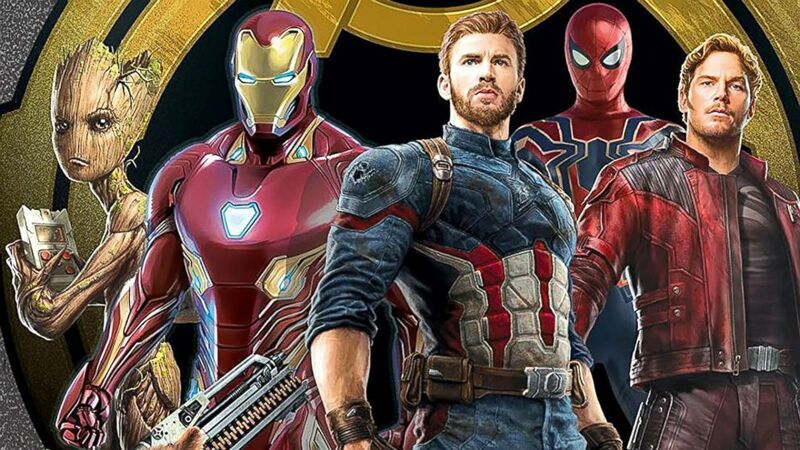 Like many people, I thoroughly enjoyed Avengers: Infinity War this weekend and encourage everyone to see it. With lengthy trailers that carry the overall theater time to more than three hours (as with any Marvel movie, you have to stay through the end of the closing credits), I was caught up in every sequence of the movie and it certainly did not feel like I had been planted in my seat for three hours. It is highly recommended to visit the bathroom ahead of the movie and avoid any drinks. This is not a movie to step away for a few minutes for a trip down the hall. Enjoy your Sunday and make it a wonderful day before you settle in to watch ESPN Sunday Night Baseball. Let’s keep this winning streak alive. Only two games from my goal of ten in a row.